To write this review, I borrowed both books from my local public library. 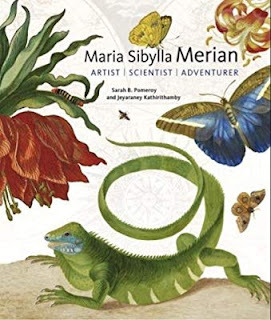 I was first introduced to Maria Sibylla Merian in Margarita Engle's fabulous book, Summer Birds: the Butterflies of Maria Merian. Merian's curiosity was unusual at the time (1647-1717). Thankfully, and with lots of encouragement and a strong self-esteem, through art, Merian shared her discoveries: how caterpillars turned into butterflies, for one. Now we have two new biographies of Merian Sibylla Merian for those wanting to learn more about this talented woman. Maria Sibylla Merian was born in Frankfurt, Germany on April 2, 1647. When she was four, her mother married the still-life painter Jacob Marrel. He will teach her how to paint. 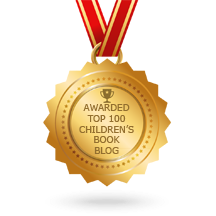 At age thirteen, Maria begins to raise and study silkworms. With an eye for detail, a talent for painting, and her keen scientific mind, Maria will go on to paint flowers and other insects and animals. In 1677, she published her first book, 'Neues Blumenbuch' (New book of flowers). In June of 1699, Maria and her daughter sailed from Holland to Surinam in South American. They were the first people to visit the South American jungles purely for scientific reasons. These two biographies tell the story of a remarkable woman, far ahead of her time. Both books have engaging narratives with the text broken up with quotes from Merian’s books and journals, and sidebars sprinkled throughout on history, science, and art, which helps readers see Merian’s place in history and the bigger picture of the importance’s of her work. 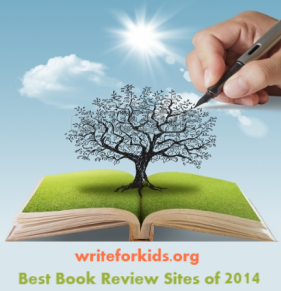 Both titles are highly recommended, especially for anyone interested in nature and art. As we learned from David Hockney and Martin Gayford, it’s one thing to snap a picture with our phones or a camera, but we learn far more when we use art to make sense of our surroundings. 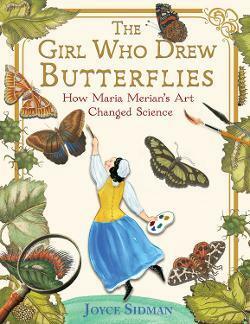 Born more than 350 years ago, Maria Merian paintings, drawings, and hand-colored books in museums all over the world.